I don't know if it's age or long hours spent in front of the computer, but lately by the time 5pm hits my face seems to look as tired and haggard as I feel. My eyes feel it especially: The area all around the eyeballs gets tense and I feel as though I'm going bug-eyed, while the undereye area looks distinctly puffier and darker than when I left the house in the morning. 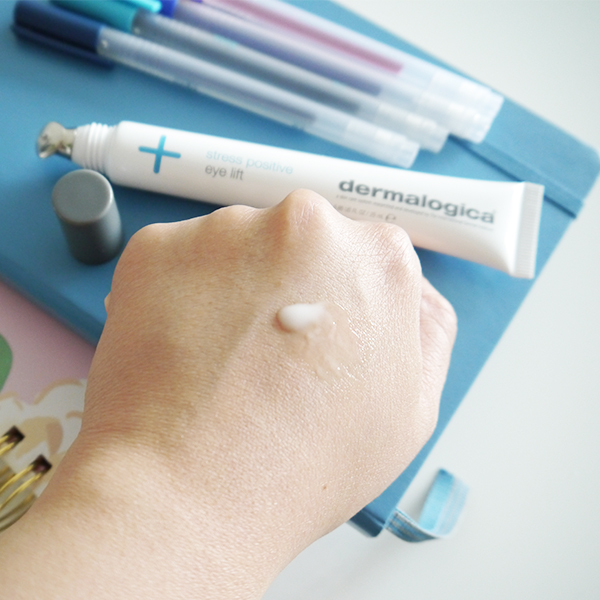 If you're in the same boat as I am, the new Dermalogica Stress Positive Eye Lift ($90; available at BeautyMark) just might be the answer to your prayers. All the details after the jump! Dermalogica Stress Positive Eye Lift combats visible signs of stress around the eyes in several ways. The cooling cream-gel formula boasts wild indigo seed and bioactive diglucosyl gallic acid to brighten, sea water extract and arctic algae to fight puffiness, and fermented yeast and hyaluronic acid to plump and lift. The stainless steel massage tip applicator cools and soothes on contact. You can use it in the mornings and as needed for a quick pick-me-up, under or over makeup. Is this a natural skincare product? No, but is formulated without artificial fragrances, colours, and parabens and it does contain a lot of active natural ingredients. The formula glides on effortlessly with no tug around the eyes, probably thanks to the top two ingredients water and dimethicone (a silicone that gives products a smooth, silky texture). 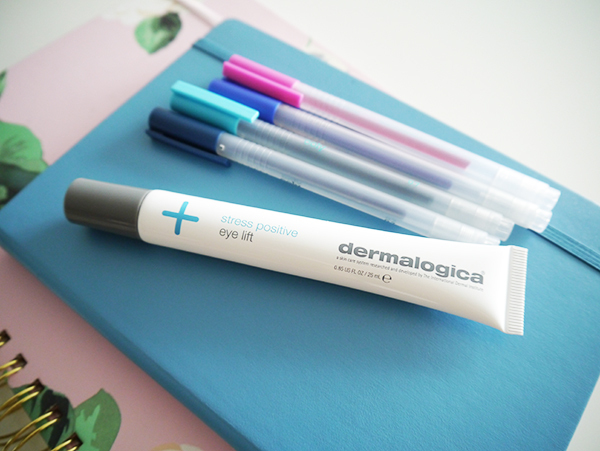 I've been testing my review sample of Dermalogica Stress Positive Eye Lift for several weeks now and so far, so good. The cream-gel formula goes on clear and dries quickly. It never creases or feels like too much product around the eyes no matter how many times you apply it throughout the day. 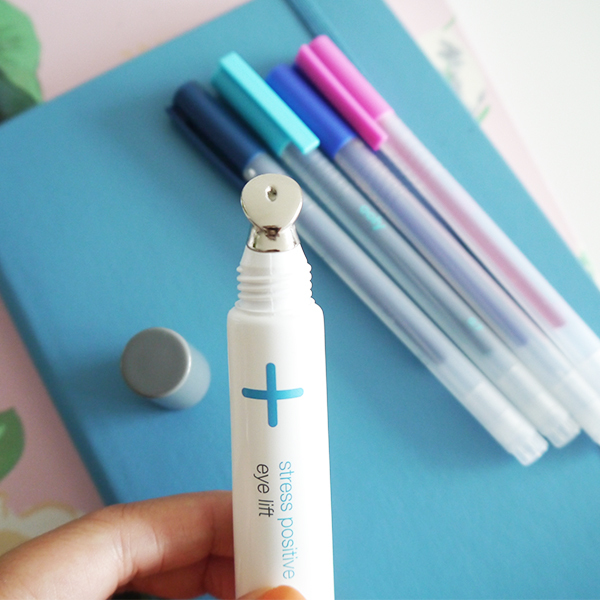 Plus, the experience of using it feels like such a treat—like an icy cool mini eye massage whenever you're feeling stressed, tired, or puffy. I use it as part of my current AM skincare routine along with the Pixi Vitamin Wakeup Mist to refresh the senses and wake myself up from any lingering morning grogginess, and sometimes around 3pm when I feel the afternoon slump hit. Even on days I use it during the mornings only, I notice that my eyes don't feel and look as tired when I get off work. 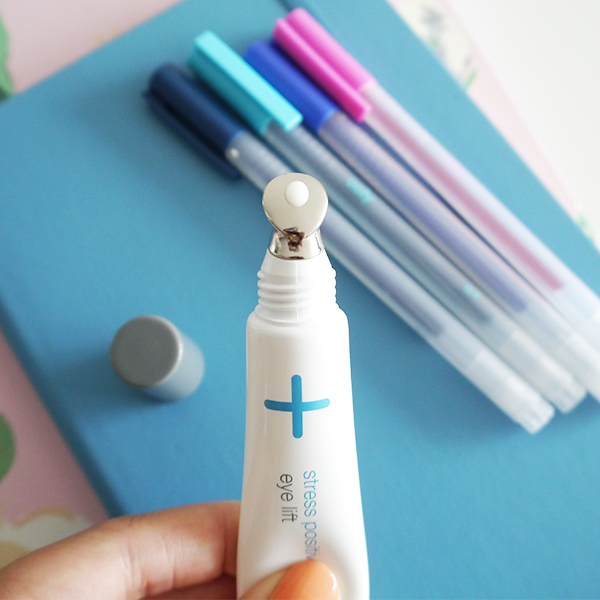 If you're thinking this sounds awfully similar to the Estee Edit Late Night Eraser I previously reviewed, you're right—they do share some similarities in what they do and in how they both have a stainless steel applicator tip. However, Dermalogica's version is better in my opinion. The cream-gel texture has less drag than a balm and is cooling to the touch on its own, whereas the Estee Edit balm isn't. The Estee Edit version also has a tendency to collect in white streaks in creases if you use too much, while the Dermalogica never creases on its own or under concealer. 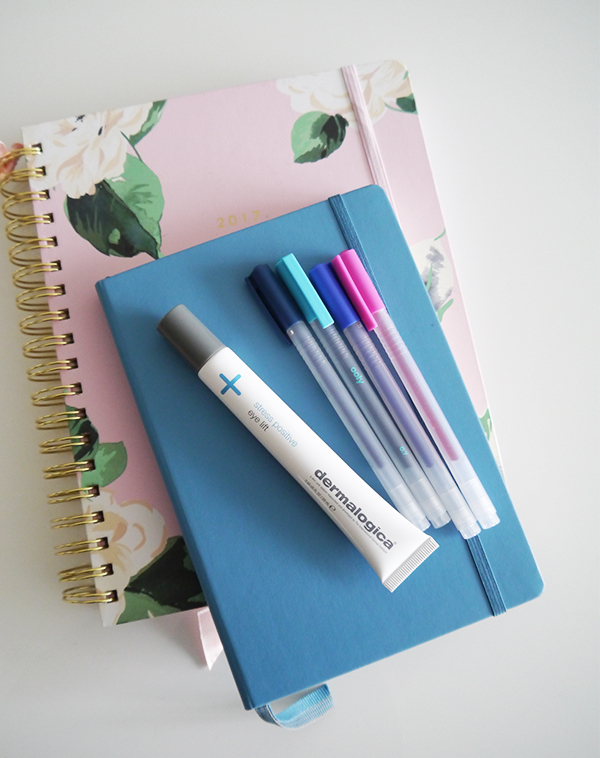 There are a couple of downsides to Dermalogica Stress Positive Eye Lift. Although the 25 ml tube contains plenty of product, its long, skinny shape can be awkward in smaller purses. And then there's the cost: $90 is a lot to spend on a product that's meant to supplement the functionality of an eye cream, but not replace it entirely! However, if you are willing to spend that much, this is a product that really works in relieving signs of chronic eye fatigue. Beauty, life + style blogger. Aspiring minimalist. Technical writer. Bar Method addict. Wife.